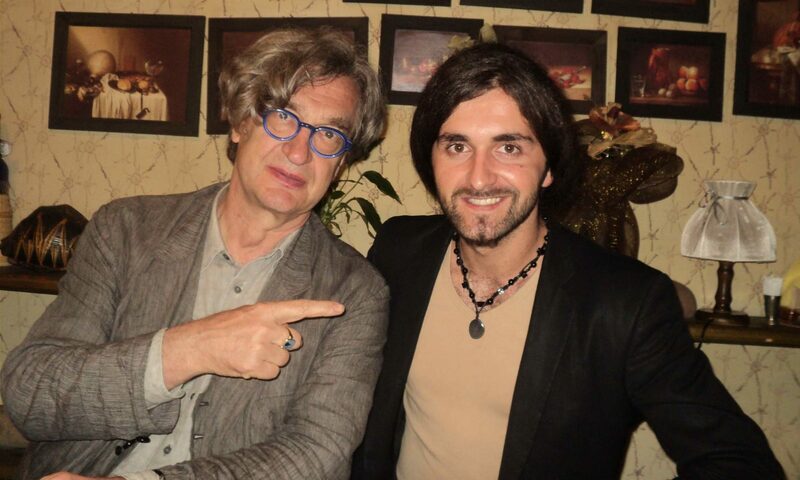 Ado Hasanović is the director and producer of Nomophobia, his latest short film written by Elisa Bondavalli. 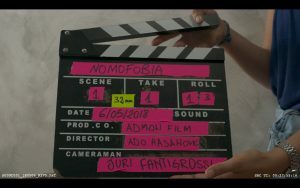 Shot in one long-take, the film wants to explore the disease we all suffer from: “Nomophobia”, which stands for “No-mobile phobia”, the fear of being left without cellphone. 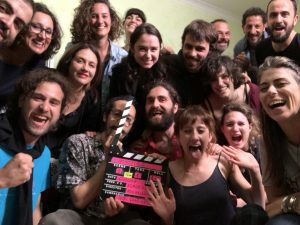 Shooting the film in one long-take was not that easy, as Ado reveals: it took three months of preparations and rehearsals before feeling ready to do it. «Nomophobia is my first short film shot in a long take. It was quite difficult to make it, but at the same time it was a very exciting experience. Rehearsals and maniacal attention to details are essential in order to make a good long take; it took me a while before I chose the right actors, the proper location and all the other fundamental aspects of the short film, like costumes, photography, sound and camera movements. I wanted to give birth to a unique scene, capable of being shot and experienced in one single breath. Nevertheless, Nomophobia is not only this: it is the name of an illness as well, a very peculiar one, that allows us to reflect on the emptiness of values of our society» said Ado Hasanović. The story might seem a bit absurd at a first look, but the viewers will be shocked when knowing that it is based on a true story that took place in Italy a few years ago. The director had a very clear idea of the feelings he wanted to conceive to his viewers and the style he had to adopt. After a terrible parents-teachers meeting, Maria tries to put her daughter Jessica back on track. But there is a third wheel interfering in their chat: Jessica’s phone, by which the girl is totally absorbed. The mother soon decides to grab the phone, not considering the consequences that her decision might provoke. The film is shot in a one long-take. To give a more realistic and spontaneous touch to the story I used a hand camera to follow closely my two characters in their space. In particular, there is a moment that distinguishes itself from all the others for its ambition and complexity: for these reasons I decided to turn to small, light and easily handleable equipment. Close-ups and medium close-ups are the mainly used frames, in order to capture mother and daughter conflicting emotions. Cinematography embraces cold tones to underline the empty and dry relationship between the women and the daughter’s impersonal and virtual life. It is my intention to show these human characters for what they actually are, in both their dramatic and absurd faces: my glance will not be the one of a judge, rather a very empathic one.